"Adrienne, Marty, and Phoenix of Baby met at Rhode Island School of Design while studying Film/Animation/Video. Drawn together by their mutual love of music, they started playing spontaneous, unrehearsed shows at DIY shows and parties around Providence. Baby is more of a collective than a band, relying more on the individual creations of its members which are then combined into coherent works. 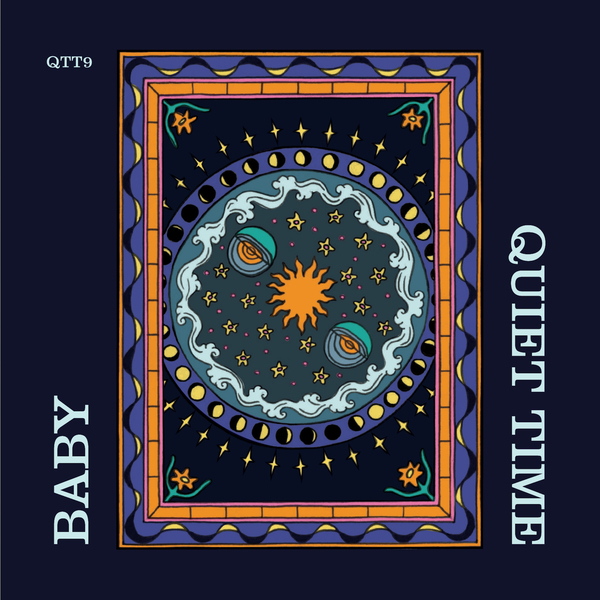 This is Baby’s second release on Quiet Time, after QTT2. Each of the three tracks was led by an individual member of Baby. What results is two freaky, jazzy and digital pop songs - sandwiching a long, evolving ambient piece with long breaths of noise and beautiful shimmering guitars and synth. Zine contains Baby’s original artwork." 2 x cassette; one for you, one for a friend. 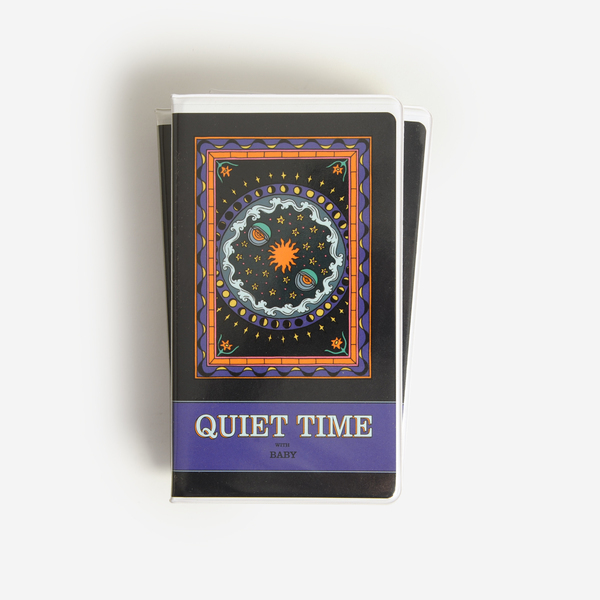 Housed in vintage clamshell with 10-page art booklet.